Lovely little pot with cut out in the lid for a spoon. 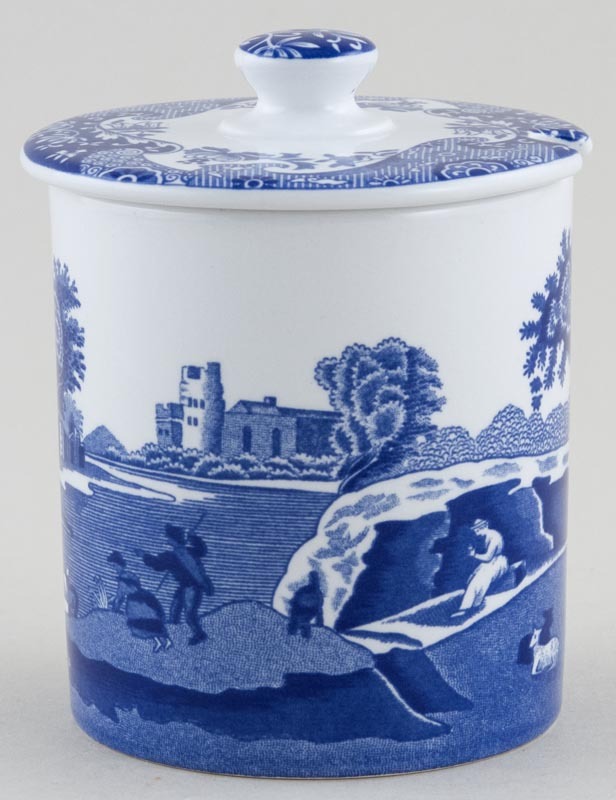 Backstamp: Spode England Italian Spode Design c1816 and date letter code J for 1985. Excellent condition.